We just added a Links Tab with the following entries, I'm verifying and checking out everyone who has asked to promote their websites or blogs here on Operation Survival. If you have another one not yet listed below or NOT listed off to the right hand side of the main blog, please let me know and I'll try and help direct traffic there as well. Thanks for your visits, comments, and support. If you have a Google+ account, please check the G+ icons as you find information here that you like. It will help get the content better indexed on Google Search Engines and help get the word out about the Truth of the Resistance Movement of those Priests and Bishop Williamson's reasoning behind speaking out for Christ the King! These look good so far! MAGNA EST VERITAS ET PRAEVALET!! If you have some insight into these sites, feel free to comment. I beg your pardon for my very poor english. I'm the owner of the site "In Tribulatione Patientes". I'm also supporting Bishop Williamson and the strict observance. All the others listed above on your post are very good. I'm adding a link to your blog too. Sorry for the delayed reply, I'll try and get these up here too! I was surprised not to see my name and website listed on your links, since I have been, from the beginning, one of the most outspoken of Bp. Williamson and the resistance Fathers' friends and supporters, suffering as a consequence (gladly) the loss of much former support from the SSPX. I am also one of Abp. 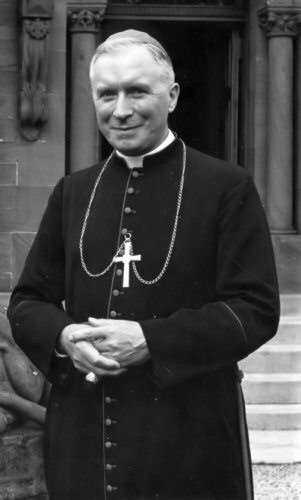 Lefebvre and the SSPX's first supporters, since 1969 (yes, since before the Society's founding in Econe). I'm surprised you are surprised, this blog supports the priests of Resistance, not necessarily all those wonderful folks out there who want to be recognized as supporting the Resistance. Looks like both of your links are ways to learn about Hugh Akins and your book/s about the jews. So, thanks for stopping by this little blog, and letting me know about your websites.